At is common for patients of all ages and genders to have difficulty with their smile. There are times when problems may result in chronic headaches, migraines, and facial pain. Trying to find appropriate treatment for facial pain in the Lakewood, CO area may seem like a daunting task, but not if patients seek treatment with Dr. Scott Stewart of South Lakewood Dental. His practice offers a variety of holistic options for patients to consider in treating facial pain, including Trudenta/DTR. Dr. Scott Stewart and the team at South Lakewood Dental are proud to offer patients solutions that can be used in addressing these issues. Many patients don’t think of visiting a dentist for treatment of such problems, but they may find that it is the best way to address problems associated with temporomandibular joint disorder, or TMD. This condition can cause patients to experience pain such as headaches and migraines that can become chronic and debilitating. By addressing the problem at the source, patients can improve their overall quality of life. Trudenta/DTR is a treatment that works best for patients who have problems associated with unbalanced dental forces. 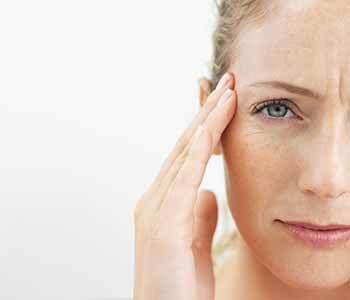 In addition to chronic headaches, migraines, and facial pain, patients may experience ringing in the ears and vertigo. After an assessment has been completed, Trudenta/DTR treatment can begin. Evaluating patients for this treatment begins with determining the imbalances in the mouth, checking one’s range of motion, and looking for problems such as inflammation and muscle tension. We also look for muscle tightness that can occur around the jaw area to properly diagnose TMD concerns. By combining several of these therapies, patients can find relief from the pain and return to the best quality of life possible. This can be extremely lifechanging for patients who deal with chronic pain that keeps them from being able to accomplish certain activities. What are the benefits of Trudenta/DTR? What other treatment methods are available with Dr. Scott Stewart? Another option is the T-Scan System. This is a treatment that takes note of the specific teeth that are causing improper tooth contact that contributes to headaches and facial pain. Many patients who undergo T-Scan System treatment will be able to see improvement in as little as a week after starting treatment. Both T-Scan System and Trudenta/DTR are available for patient consideration at South Lakewood Dental. Why choose Dr. Scott Stewart? 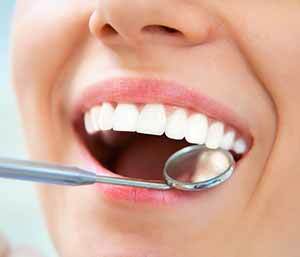 Many patients find that visiting a holistic dentist who ensures biocompatible treatments is best for one’s smile. Dr. Scott Stewart at South Lakewood Dental takes great pride in offering services that are most appropriate for the smile’s health and wellbeing. The practice focuses on treatments that use appropriate materials, eliminate surgeries, and use products and services that are best for the smile and body. We never use materials such as silver amalgam fillings, which are comprised of harmful mercury, or metals that do not look natural when placed in the smile. We focus on conservative, safe, and aesthetic treatment options that are affordable and best for our patients. Ready to discuss Trudenta/DTR for your smile? Contact South Lakewood Dental to book a consultation visit with our holistic dentist to determine if Trudenta/DTR can assist you with your specific needs regarding facial pain treatment. Call the office at (855) 233-0023 and visit at 2525 South Wadsworth Boulevard, Suite 11 in Lakewood, Colorado.